Advance Your Career with Technology for Tomorrow! Classes that lead to an Associate's Degree or Certificate of Completion. What’s the difference between a Certificate of Completion and an Associate’s Degree? A Certificate of Completion is awarded when students complete a series of specific IT classes. The Associate’s Degree is awarded after students complete a series of specific IT classes PLUS required General Education classes. Students pursuing an Associate’s Degree generally transfer to universities to complete their Bachelor’s Degree. Students with a Certificate of Completion have the option to add the classes required to attain an Associate’s Degree. Browse this site to see what certificates or degrees appeal to you, but be sure to talk to an Academic Advisor before you enroll. Specialized classes to help keep your skills up to date. Many students enroll in just one class—to become familiar with a new programming language or software program to advance their careers, or sometimes just for fun. Browse this site to see what classes are available, and then contact an Advisor who can help you find the class that’s right for you! Classes to help you prepare for industry certifications. Industry certifications generally require that you pass one or more industry exams (not SMCC exams) that focus on a specific area, such as CISCO networking or computer technician certification, such as A+ or PCpro. We offer classes that will help you to pass these industry exams. Getting industry-certified can be a quick way to get your career started if you don’t have time to work toward a degree or certificate. Browse this site to see what certifications we can help you with, then contact an advisor who can get you started with a class that suits your needs. Computers and the internet rule business today, and behind every company’s computer system are the IT technicians and networking pros that make sure things run smoothly. South Mountain Community College is your BEST CHOICE when preparing for certification! We offer the BEST PRICE, the BEST LAB EQUIPMENT (desktops, laptops, servers, routers), the BEST TRAINING, and the BEST ONLINE SIMULATIONS for you to use at home. Our comprehensive training features individualized, hands-on instruction to ensure that you’ll have everything you need to get certified and go to work immediately. In addition to the classes listed in this section, designed to prepare you for industry certification, SMCC also offers a wide array of Certificates and Degrees which range from Web & Graphic Design to Networking to Programming (including Mobile Apps) and more. Details can be found under “Degrees and Programs”. CompTIA A+ is the most recognized and trusted certification for entry-level computer service technicians. From installation to basic networking, employers know CompTIA A+ certified technicians have the knowledge and skills to successfully complete the job. Adding a CompTIA A+ certification to your resume will prove to employers your abilities with core hardware and operating system technologies. A+ Certification is your gateway into the world of Information Technology! It is a great way to learn about computers and to help you get that first IT job! If you are familiar with PCs and can use Windows applications, then you are ready for A+ Certification training which involves two classes over one semester (BPC170 and BPC270). 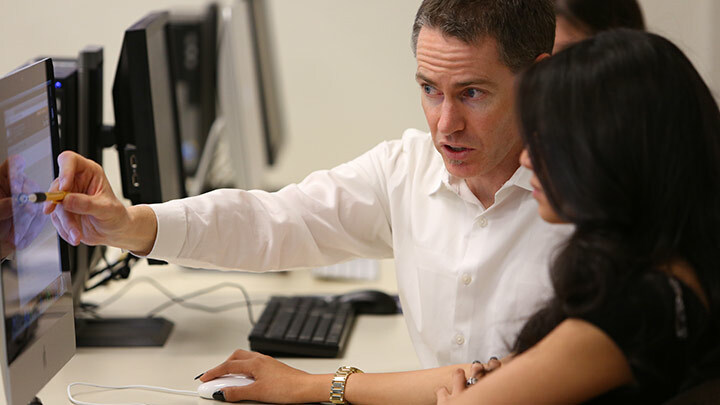 If you have never used computers before, beyond email and other basic programs, but are interested in working in the industry, then you can prepare by taking one introductory course (CIS105 or BPC110), followed by the two A+ certification preparation classes the following semester (BPC170 and BPC270). A+ preparation involves two classes: BPC170 AND BPC270. Both classes are taken during one semester. The Fall semester runs from August to December and Spring semester runs from January to May. Classes meet on Monday evenings 5:45 p.m. to 10:00 p.m.
Students must pass BPC170 with a grade C or better before being admitted to BPC270. Students may take these classes online. Please contact the instructor for permission. Final exams are taken at the South Mountain Community College campus. Monday evening classes are hybrid classes – because of limited time with the instructor (only night per week), these classes require an extra level of commitment from the student who will need to plan on a significant number of hours to work on reading and assignments outside of class. This will be explained in full during the first class meeting. Questions? Contact the instructor, Niall McCarthy, at 602-305-5682 or niall.mccarthy@southmountaincc.edu. Tuition: $696 for both classes. A full semester of tuition. Fully equipped lab classes (laptop and desktop computers, networking devices, printers, technician tools). An online testbank of hundreds questions (answers to each question are explained in detail). Access to online computers in the SMCC Computer Commons. Student input is often considered when scheduling classes. If our current schedule is not convenient for you, please call or email the instructor. We will keep track of student requests and if enough students are interested, we will create separate class sections to meet student needs. If you are an IT Manager needing to get your staff up to speed for the A+ exam, we can help. We may be able to offer specific class sections exclusively for your employees. SMCC offers Juniper Networks networking courses to help students prepare for Juniper Network certifications. The job market remains excellent for certified networking professionals; they command higher salaries and add more value to high-end enterprises. Juniper Networking products and technologies run some of the world’s largest and most demanding global networks. Now more than ever before, business transactions, communication and everyday life depend upon the secure and reliable availability of high-performance global networks–and those who know how to create them are in high demand. SMCC can provide you with the skills you need to succeed in this exciting field. Call us today at 602.243.8012 for more information. Preparation for the Juniper Networks Certified Internet Associate – Enterprise Routing (JNCIA-ER) exam. The following classes prepare you for industry certifications such as the LCA (Linux/GNU Certified Administrator); CompTIA’s Linux+; RHCT (Red Hat Certified Technician); RHCE (Red Hat Certified Engineer); and LPIC (Linux Professional Institute Certification). SMCC also offers a Certificate of Completion (CCL) called “Linux Professional”. This program will prepare you for the Linux exams above, and help you develop hands-on skills for the workplace. The program includes the Linux classes above as well as Network Administration and Network Security classes, which will develop your knowledge and skill level in preparation for employment or advancement. Details on the Linux Professional CCL are listed under “Degrees and Programs”. These classes will prepare you for the MCSA (Microsoft Certification: Solutions Associate) Certification.